I've already presented here the finalist and also the winner. 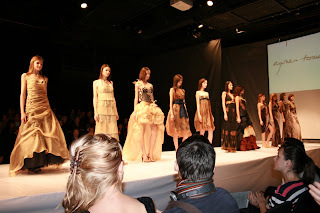 Now i will write about the fashion part of the show. 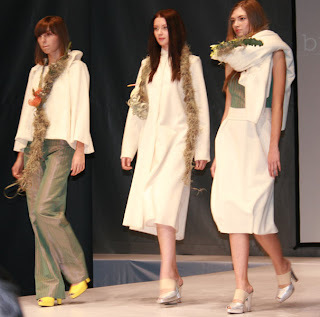 The "Casual wear" was the first round the models had to pass in order to win the competition. The outfits were from Claudia Castrase 's "Smart eyesight" collection. The 12 outfits are simple, casual, yet extremely elegant with inspirations from Japanese costumes. Yet the colors are very European and very this season. Gray is the main color, and it's shades are boosted by bold red accents (i especially liked the red bows and red shoes). 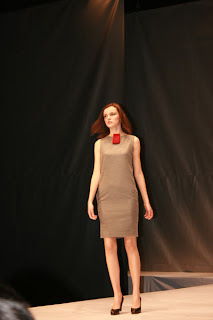 After the first round, Adrian Oianu (young Romanian designer) presented a small collection. Only tunic dresses, from neutral colors to dramatic yellow, all reiterating the same simple square form. Big sleeves, zippers and straight cuts that give volume to the outfit: those are the elements that characterize Adrian Oianu's style. 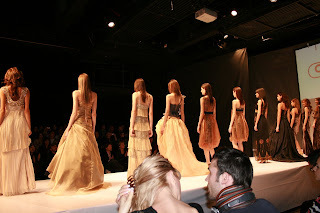 My favorite dress from the show was the last one posted bellow, an all-brown dress, with define waist. 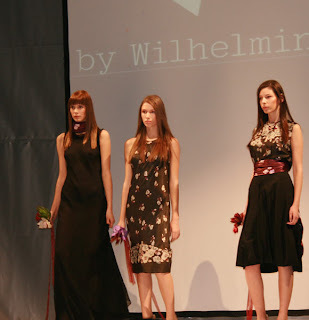 The "Evening dresses" for the models in contest were created by Agnes Toma, a known evening outfits designer in Romania. Before announcing the winner, one last collection was presented. 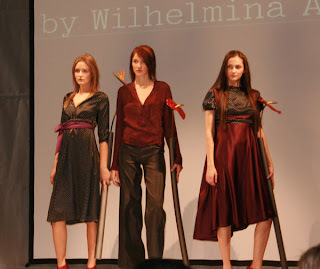 This time we could see some of Wilhelmina Arz creations. Subtle elegance and original tailoring. Plus the flowers for a feminine touch and a spectacular effect.